The 46-credit, 20-month Executive MBA program at the Concordia University John Molson School of Business takes place on alternating Fridays and Saturdays. Included in within the 20 months are several breaks between semesters, so the actual in-class length of the program is closer to 15 months. Classes in the John Molson Building start with breakfast at 7:15 a.m., and then in the classroom at 8 a.m. until 5:30 p.m., with mid-day breaks and meals. Prior to the start of the second term, students must pass a basic statistics test. Accounting and math tutorials are available in the summer as an additional option. The typical John Molson School of Business EMBA class size is 20. Enrolled students, on average, are 37.5 years old and have more than 13 years of professional work experience. The female/male class ratio is 30/70 percent. The total cost of the John Molson School of Business Executive MBA program is $75,000, or, $37,500 per year for two years. These costs include: tuition; textbooks; fees; meals on class days; cost of international study trip; access to facilities; a special EMBA briefcase; access to health facilities; career coaching; invitations to social functions; and administrative support. The total cost can be paid up front, split into two payments, or monthly. Finance loan options may vary per student and nation of residence. Applications submitted early may receive a tuition deduction of up to 10 percent in the first year. 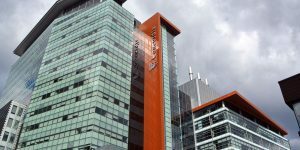 A minimum of five years of work experience is required in order to apply to the John Molson School of Business Executive MBA program, preferably after one earned an undergraduate degree. A “satisfactory” results on the GMAT or Executive Assessment tests are required for enrollment. However, students do not have to submit both. Strong candidates will be invited for a formal interview with the EMBA Program Director.